Many children often struggle with knowing how to get their letter size just the correct height. 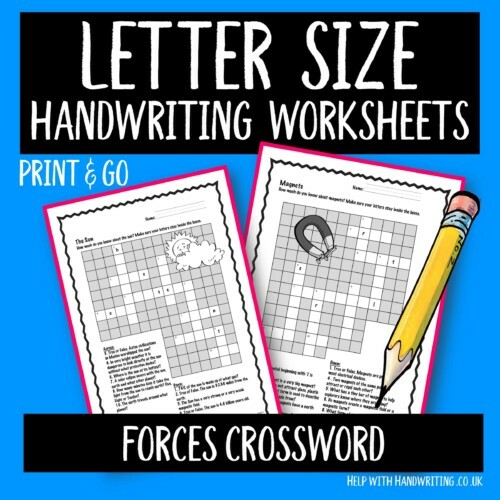 The worksheets found here will help your child write tall letters, letters that sit on the line and letters that fall below the line. Fancy an ice cream? Would that be with a cherry or sprinkles on top? 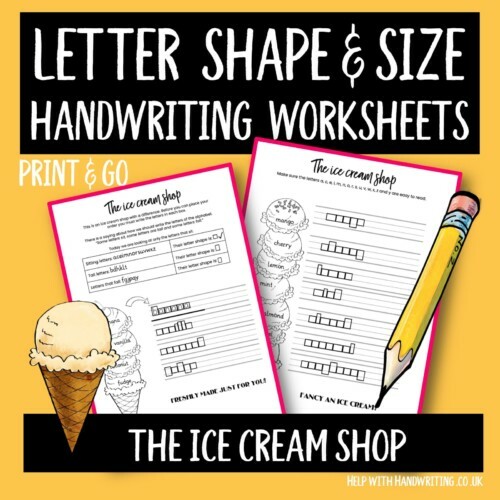 Visit the ice cream shop and write every flavour on offer before writing your own order. There are 4 worksheets to complete. 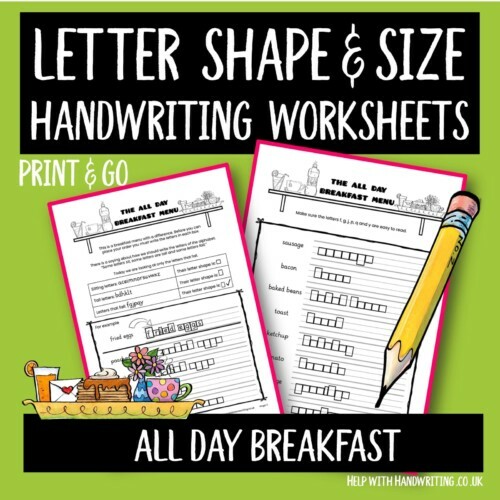 Improve letter size by writing all the words on this breakfast menu, once written your child will place their breakfast order by writing their request themselves. There are 4 worksheets to complete. 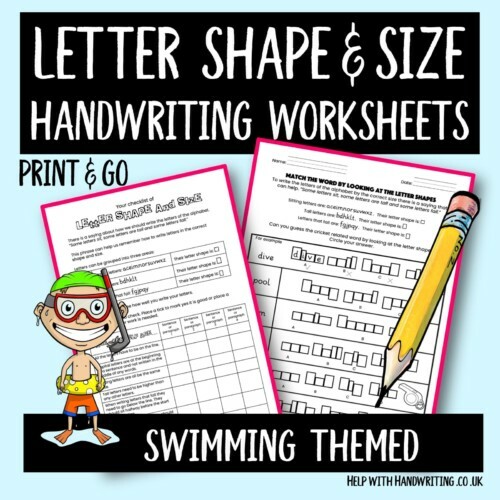 Using the popular sport of swimming this resource helps children recognise letter shapes and how to write letters of the correct size. There are 3 handwriting sheets are full of swimming related words. 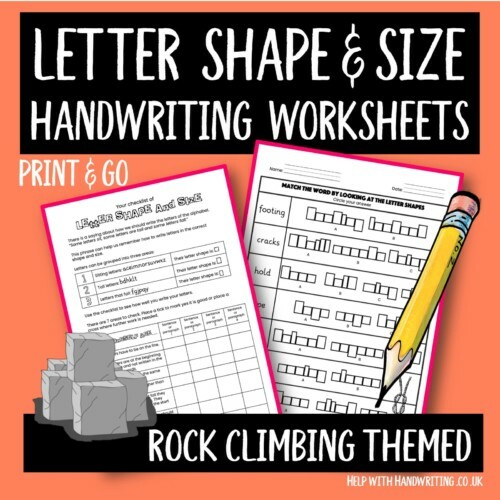 This resource has 3 worksheets and 1 checklist on the theme of rock climbing. 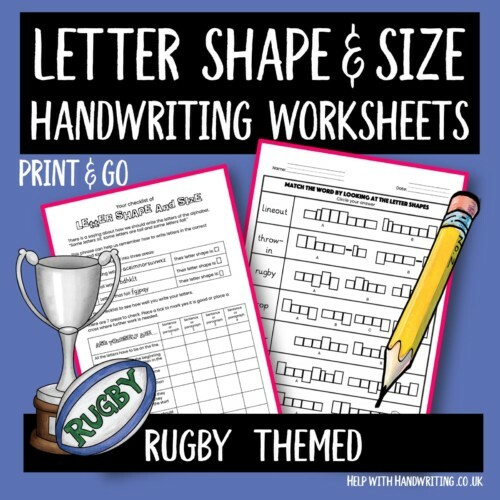 Each sheet is designed to help a child recognise letter shapes and how to write letters that are tall, fall or sit on the line. Complete these word shape puzzle quizzes using rugby themed words. Once completed a child should write a paragraph and review their work. Enclosed are 3 worksheets and 1 checklist. Letters can be divided into three areas: sitting, tall and fall. 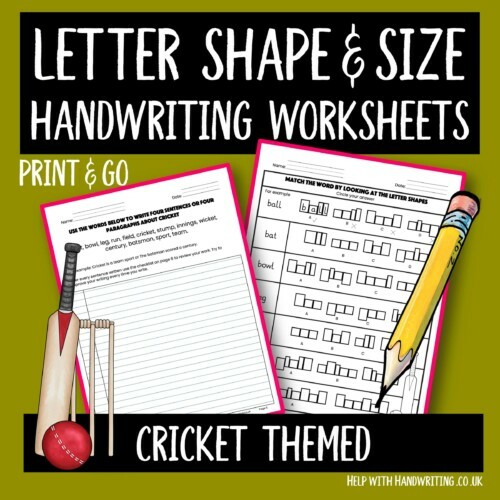 These cricket themed words will help a child match the correct shape to the word, write a paragraph and review their work with a checklist. Combine improving letter size with knowledge of electricity, sun and magnets. By placing the letters in the boxes it will require your child to think about what size they write their letters.